Buy and load instantly at select Shoppers Drug Mart, Loblaws and Real Canadian Superstore locations! 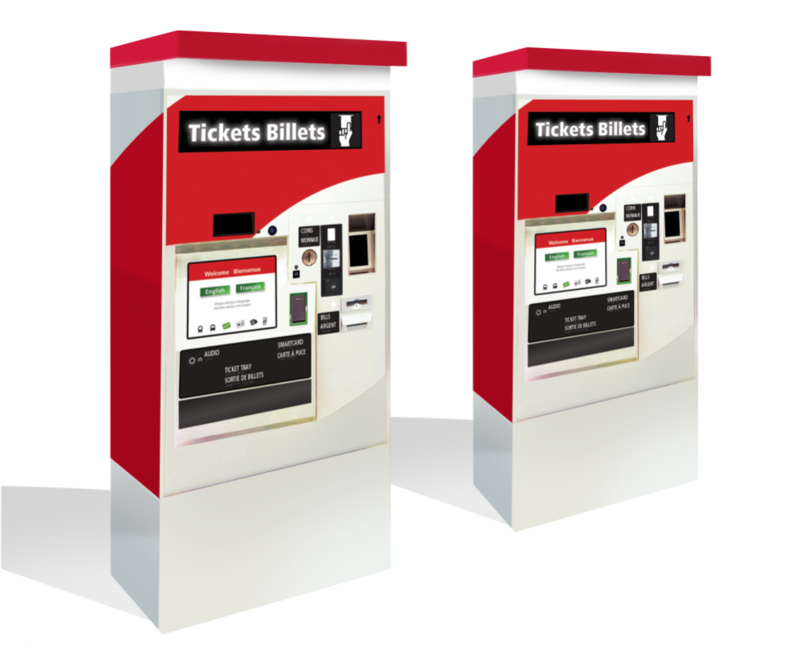 Ticket machines are found at Carling, Carleton, Mooney's Bay and Greenboro stations. Ticket machines will also be found at all O-Train Line 1 stations. Monthly passes are the best value for frequent riders. Groups who hand out bus tickets free of charge to their clients or employees can apply to buy single ride vouchers. Customers will be able to redeem vouchers (for a transfer on buses or for a ticket at the Voucher Exchange at an O-Train station) at any time until the printed expiry date on the bottom of the voucher. Single ride vouchers are not for public sale. To request more information or register your organization as a purchaser, please contact occommunityengagement@ottawa.ca. There is no Voucher Exchange machine or fare gates at Bayview Station. If you are starting your trip on the O-Train at Bayview, hold onto your voucher while you ride the O-Train. The voucher will be your proof of purchase in case of fare inspection.